Flaman takes pride in providing quality grain analysis solutions for our customers, which is why BIN-SENSE is included in our selection of equipment. 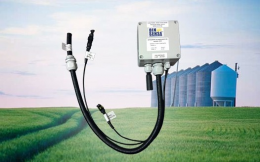 With their award winning line up that includes wireless grain monitoring as well as handheld options, you’re sure to find a monitoring system that can be tailored to meet your needs with the addition of BIN-SENSE monitoring cables and the BIN-SENSE fan controller. BIN-SENSE Direct is an on-site handheld grain monitoring took that allows you to use your smartphone or tablet as a database for all your moisture and temperature readings. The device, used through a free, easily accessible app (that is compatible with Apple or Android) connects via Bluetooth or headphone cable. Interested in a wireless solution? 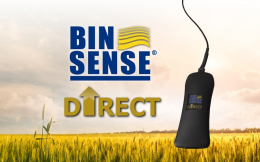 Get accurate digital readings via text or email thanks to BIN-SENSE Live, allowing you to stay connected and monitor the moisture content in your grain, whether you’re in the field or at home. 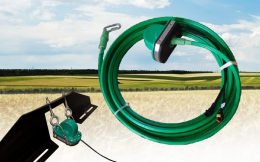 An additional factor that will appeal to those looking for a quick an easy set up: BIN-SENSE Live is compatible with your existing installed temperature and moisture cables. A Fan Controller from BIN-SENSE is another option to prevent potential spoilage. Connected through BIN-SENSE Live, the fan controller allows you remote access to your fans with your smartphone, tablet or computer. We are here to help you create a grain monitoring system unique to you and the needs of your farm. Our team of dedicated sales experts have over 100 years combined experience and are conveniently located at our 9 dealerships across Western Canada. Drop in to your nearest Flaman location to chat with a member of our team today to learn more about the full selection of equipment we offer.